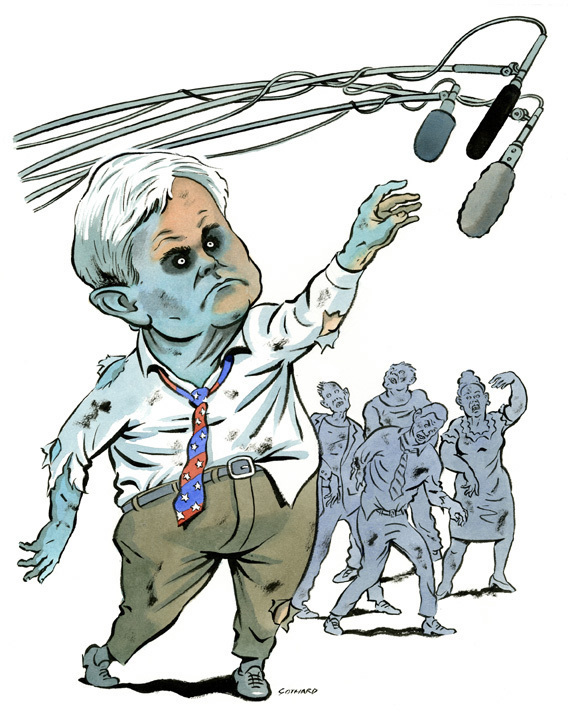 Newt Gingrich, Zombie politician, groping for media attention with the same old dead ideas. This one for the LA Times. That detail of the face is amazing on it's own. The likeness is superb. I've always loved the line in your work. Randy - thank you, sir! Brian - thanks, Newt is easy and transforming him into a zombie is just plain fun. The drawing is sharp as usual, but the color is particularly thoughtful. It's that 'Night of the Living Dead' palette. Half dead/half alive. 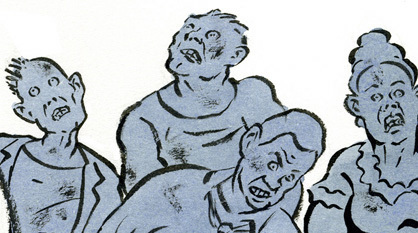 The whole scenario communicates a lot about the current struggles of Newt's party. I love Zombies, Dave. You sure mailed down the look,feel and the walk! Thanks, James. It ran in B&W, like a George Romero still. Hey Mike, thanks...Shawn of the Dead taught us all how to do "the zombie". 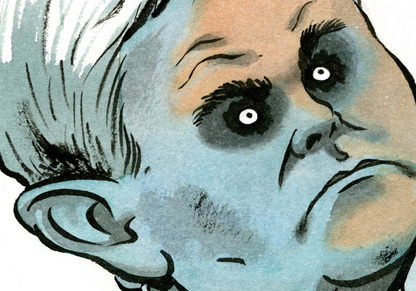 I think you've captured Newt's true self on this one. Great zombie. Love the colors you chose for him.